A fascinating journey in the North and Northwest of Vietnam, crossing the border into Laos and travelling down the Nam Ou to Luang Prabang. 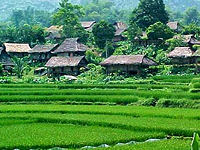 Arriving at Hanoi, our guide will be at the airport to welcome you and transfer you to your hotel. After a break to freshen up, we will a city tour of Hanoi including Hoan Kiem Lake and Ngoc Son Temple in the Old Quarter of Hanoi. After lunch at a local restaurant, we visit the Temple of Literature, built in the 11th century as Vietnam’s first university, the Fine Art Museum and the Quan Thanh Temple. In the evening, we see the world-famous Vietnamese Water Puppet show in the theatre followed by dinner at a local restaurant. 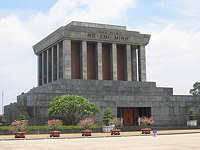 This morning we will see Ho Chi Minh’s Mausoleum (closed on Monday, Friday and the whole October-November) and Residence, the One-Pillar Pagoda and the Army Museum. 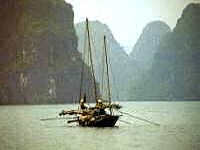 After lunch at a local restaurant, we make the 4-5 hour drive to Ha Long Bay and transfer to hotel. Dinner at a local restaurant. The tour continues with a morning spent cruising on to the Man’s Head, Tortoise islands and then Luon Cave by small bamboo boat. After a brunch check out and continue to travel though Bai Tu Long to Bai Chay for disembarkation, meet your driver and guide and drive back to Hanoi. Getting away from the busy city we head today to the North West of Vietnam, about 4 hours drive through new development to the mountains of Hoa Binh province, where we visit the biggest hydro power station in Vietnam. Our trip continues onward to Mai Chau, the home of the 'White Thai' minority people. In Mai Chau our guide will take you to visit some traditional homes and activities of local people like fishing, raising silkworms (depending on the season), weaving, planting etc. In the evening enjoy a traditional performance of Thai people, dancing and tasting local jar wine. In the morning, we cross the fields to visit the local market then return to home stay for breakfast. Afterwards. we continue the journey to Son La, where we stop at a nice Thai village and Hmong village (This village you can take a walk for about two hours if you like) as well as photo-stops along the way. 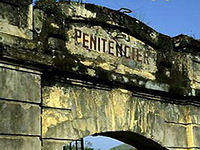 Arriving at Son La, if time permits we visit the French prison where prisoners were brought to isolate them from the main cities. After breakfast we continue the trip to Dien Bien Phu. Along the way you will meet Black Thai people and Hmong people. 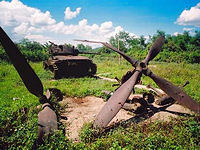 On arrival we take a tour to some of the historic sites of the town such as the Dien Bien Museum and A1 Hill. The latter was the shelter of the French General De Castries. We also visit memorials to the Vietnamese and French soldiers who died during the fierce, historically important Dien Bien Phu battle in 1954. Later, check in at hotel and overnight in Dien Bien Phu. Today we say farewell to Vietnam as we drive for two-three hours to the border with Laos at Tay Trang. After completing border formalities we meet our local guide then transfer by car through stunning mountain scenery with plenty of opportunities to stop off at the various tribal minority villages along the way, reaching, after about two hours, the village of Muang Khua on the banks of the Nam Ou. Check in at local hotel and overnight. 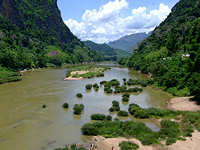 Today we continue our boat adventure down the Nam Ou, enjoying the lush green forests and landscape. We will be able to stop off at a few villages and admire the breathtaking limestone karst scenery. Along the way, at the junction of the Nam Ou and the mighty Mekong, we stop to visit the mysterious caves of Pak Ou, two linked caves crammed with thousands of gold lacquered Buddha statues of various shapes and sizes left by devoted pilgrims. Finally we continue our trip along the Mekong to the UNESCO World Heritage City of Luang Prabang, which we shall reach by late afternoon. After a transfer to your hotel you have the rest of the day at leisure. Overnight in Luang Prabang. An optional early start gives you the fantastic opportunity to participate in the daily morning rituals of saffron-clad monks collecting offerings of Alms (often in the form of sticky rice) from the faithful residents. This tradition is very unique in Laos, being the only Buddhist nation still preserving the ritual. From there you will visit the morning Market, where you will see such diverse offerings as dried buffalo skin, local tea and saltpeter among the chickens, vegetables and hill-tribe weavings. 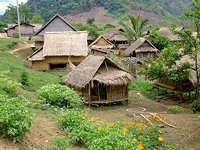 Laos is also known for its traditional crafts. Return to the hotel for breakfast and then depart to the Khuang Si waterfalls, on the way visiting various local sights and villages. 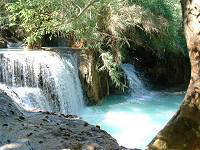 At the beautiful Khuang Si Waterfall you can cool off with a refreshing swim in the pools or walk along the forest trails. Here also we take a picnic lunch. Later we return to Luang Prabang by late afternoon. 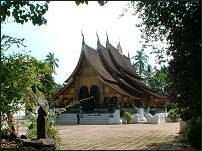 A prominent Luang Prabang silversmith’s and the Central Market are of interest to many people and we can visit these sights prior to bidding farewell to Luang Prabang and catching the flight to Vientiane. Upon arrival, we see the major temples including the oldest, Wat Sisaket, a temple of thousands of miniature Buddha statues and the former royal temple of Wat Prakeo, which previously housed the famous Emerald Buddha Image. We also visit Laos’s national icon, That Luang Stupa, and we stop to take some pictures of the imposing Patuxay Monument, which is Vientiane’s own Arc de Triumph. We enjoy our final evening by watching sunset by the Mekong Riverside and taking in the city atmosphere at night. Dinner followed by traditional folklore performance at Kualao restaurant. Overnight in Vientiane. After breakfast, we visit the Morning Shopping Mall to get souvenirs back your home (if time permits). The tour ends after your transfer to the airport for departure.